The morning of Nov. 11, several Pioneer Valley residents hiked to the summit of the mountain to wash away the hateful graffiti written there in the days before the election. The first photos of the graffiti were uploaded to the Hampshire Gazette on Sunday Nov. 6. On Friday, many of the most hateful remarks were washed away by volunteers. Andrew Goulet, Tom Peake and Michael Poole were three of the volunteers at the peak Friday morning. They spoke with Mount Holyoke News while washing away graffiti stating “Kill Jews,” explaining their process. The word ‘Kill’ was left exposed in the white paint, while another visitor had tried to obscure ‘Jews’ underneath a neon green shade of paint. The white underneath was barely visible. The graffiti that was washed away early on contained more violent remarks about Jewish individuals and Black Americans. Earlier that morning, Poole had worked on “Gas the Jews.” The words “Kill All N------” had been erased quickly after their discovery. Many swastikas had been transformed into boxes or painted over, but there was still much more work to be done. The mountain had also been vandalized in previous months, according to the Hampshire Gazette. This time proved to be more extensive and more hateful than previous instances. 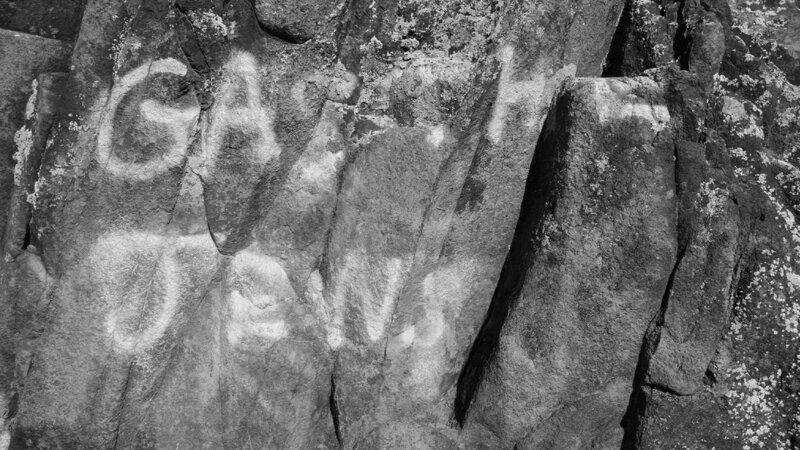 Nearly every corner of the mountain cliffs was covered with hateful words. 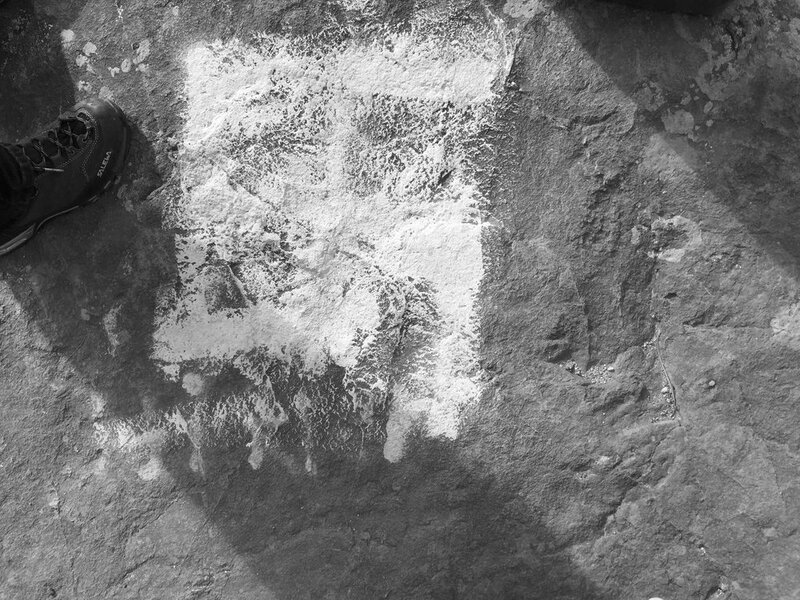 “Hitler” was spray-painted on almost every surface, painted in the same color as the countless swastikas along the edge. Peake had hiked up with two gallons of water, but said that the experience was worth it. “For people who live full time in the Valley, if you go on Facebook about a quarter of [people’s] profile pictures [are of] them standing on this mountain,” he said, while looking out across the Valley, gesturing at the vast amount of land below his feet. 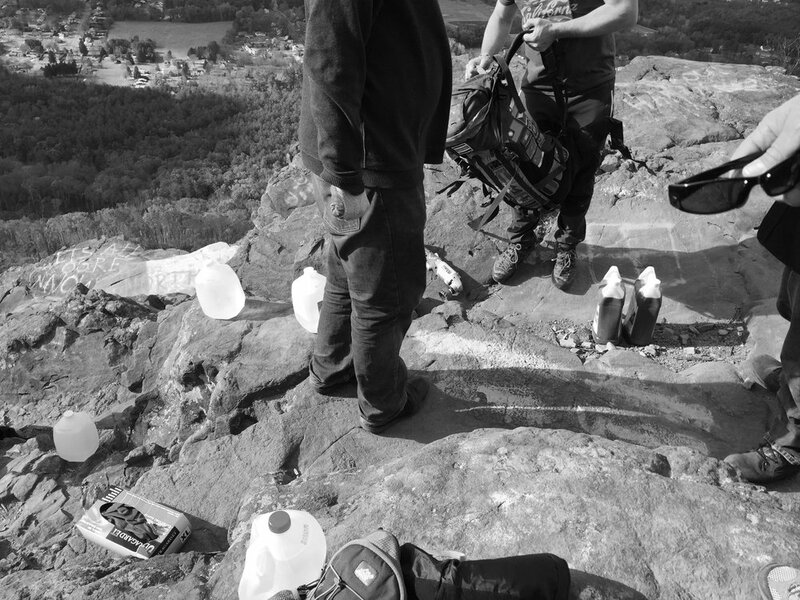 Peake wasn’t alone; many members of the Valley community spent their Veteran’s Day on top of the mountain, scrubbing hateful words off of the rocks. This upcoming week, members of an interfaith group are planning another journey to the summit. Organized by Bishop Doug Fisher, a group of religious leaders and members of religious communities will bless the mountain together this Saturday at noon. Easthampton has a long tradition of celebrating its connection to the Grinch: Many residents gathered to sing together in the town square on Christmas of 2013, according to MassLive. Dr. Seuss, or Theodore Geisel, grew up in Springfield and reportedly used Easthampton as the inspiration for Whoville and Mount Tom as Mount Crumpit. The view is an incredible sight to many and an iconic part of the Pioneer Valley. After considering how someone was able to write such things despite the beautiful view and community significance, Goulet sarcastically joked, “My passions are hiking, backpacking and being racist.” Peake laughed, saying, “I really like hiking and spreading fear.” Goulet, still scrubbing, added, “Bird watching and David Duke.” Despite the serious subject matter, spirits were light atop the mountain. Families with children continued to arrive, working through the morning to wash away the hateful words. The members cleaning kept speaking about Whoville — about overcoming hate with acts of kindness. Some of the hate had been painted over with “Black Lives Matter,” “Queer Pride” and the Transgender Flag. “A handful of punks came up here and made it look ugly, and made our town look ugly. We want to tell the world that this is not who we are,” Peake said in an interview with MassLive. Peake also emphasized the story of the Grinch. He asserted that these acts were not representative of his town and said that their perpetrators were Grinch-like — hiding in the mountain with hearts three sizes too small. As he continued to clean, he said that he hoped for their hearts to grow.